2 weeks ago, I got a TW coded Victor Meteor X80 via a friend who just came back from Taiwan, the spec was 3UG2. unfortunately in the haste of trying to get ready for field testing, i forgot to measure the weight and balance. i will update that when the string breaks. firstly, the cosmetic. it is a very nicely designed dominant white color scheme with black secondary color and red/gold accent. the paint job design was really very well done. you can see that it is a top-end graphics design and not done by some highschool design student. 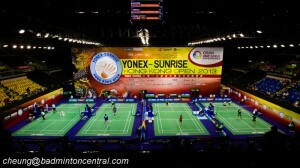 the quality of the design rivals that of Yonex if not better. Now that i have mentioned the Y-word, I might as well get this over with. 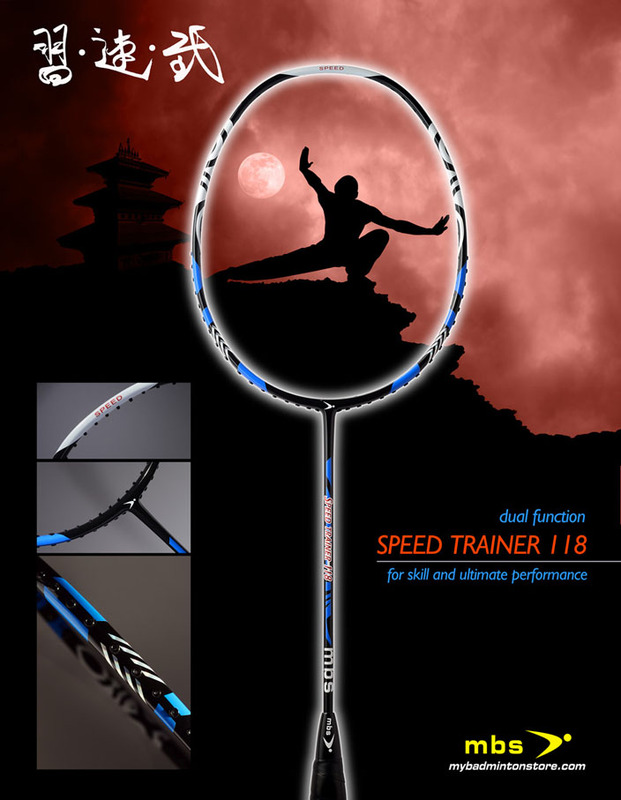 Having admired the design and compared it with the Yonex Voltric 80 (VT80), they are striking similar. so similar that it is not possible for it to be a coincidence. however, the MX80 came out in Jan/Feb 2011 while the VT80 came out in March. it really is unsure how they managed to know each other’s design. I won’t make any speculations here. I have previously used a few Victor rackets via demos from the US Victor distributor, racketsupply.com. From the result of that test, I was extremely impressed and ended up owning a Bravesword 10 and a Superwave 35. The BS10 is my favorite out of the two, slightly head-heavy racket that is incredibly fast with the blade shaped cross sectional area, but yet at the same time not sacrificing a lot of power. The SW35 sits at the other end of the spectrum. A solid head-heavy racket with a ton of power. Each hard hit ends with a huge BOOM and the shuttle digging an inch in the court mat. But what really makes these two rackets stands out is the feel and responsiveness. Both provide a very solid impact on the shuttle, providing maximum feel and feedback. The MX80 carried on that legacy, and may even have improved on it. Victor is a technology oriented company. Being a completely new Meteor line and the new flagship of the brand, the MX80 is not lacking new technology. From the 80 holes pattern, to octoblade frame, to woven carbon fiber, to nano-resin. All these technology would be useless unless the end result blends together well. When i first got the MX80, I felt that Victor has done really well on the balance and stiffness. Dry swing shows that it was neither too heavy nor too light. With a good solid weighty feel yet at the same time quite manuverable. After putting on a set of Victor VS-850 at 25lbs tension and a couple layers of RKEP G09 grips, that confirms my finding. A very well balanced, 295BP at around 86.5g string and gripless weight and stiff shaft made a really good compromise between speed and power. with the moderately high balance point, the MX80 isn’t as fast as speed demons like the Victor Bravesword 10 or the Yonex Nanospeed 9900. However, having used it in doubles games, i don’t find it slow at all. It is much faster than heavier models like Armortec 900P or the Voltric 80. It puts it in the Armortec 10 range of speed. Aside from the swing speed of the racket, the response speed on contact is definitely fast given that it is a stiff racket. the lively shaft easily bounces off and counterattack fast smashes and drives. What really make the MX80 stands out among it competitor is how incredible it feels. The racket is at the same time stiff and lively. Once you take a first hit with it, you will notice the difference. The MX80 while not particular weighty, give a very solid feel. It doesn’t have the “woody” feel of some of the lower quality Yonex and 3rd tier brands. The combination of very good stability and quality material means that the result is a remarkably good control and touch racket. Impact is solid and decisive. Feedback is plentiful and let the player feel as if he is hitting the shuttlecock by hand. This makes the MX80 such a joy to use. The livelines of the racket is one of the best quality of it. Which such distinctions in other aspects, how does the X80 rate in terms of power? It is very good. Not as powerful as power rackets like Armortec 900 Power or Victor Superwave 35, but the MX80 holds up very well on power shots. 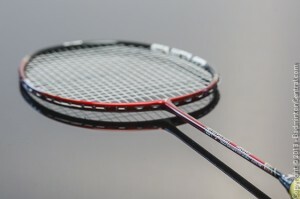 the woven carbon XT frame and Victor developed carbon shaft is stiff and provides a very fast and crisp transfer of power from the player to the shuttlecock. While it does it, the racket on impact gives out a very solid “boom” sound that resonates through every ending of your opponent’s nervous system. The combination of speed, power, and excellent feel makes the MX80 a top choice for someone who are skilled for offensive play.